Ever heard of “first impression is the last impression”? We are sure you must have! The Twitter profile picture is a true depiction of this quote and it plays the role of an identification mark for you and your valuable business. 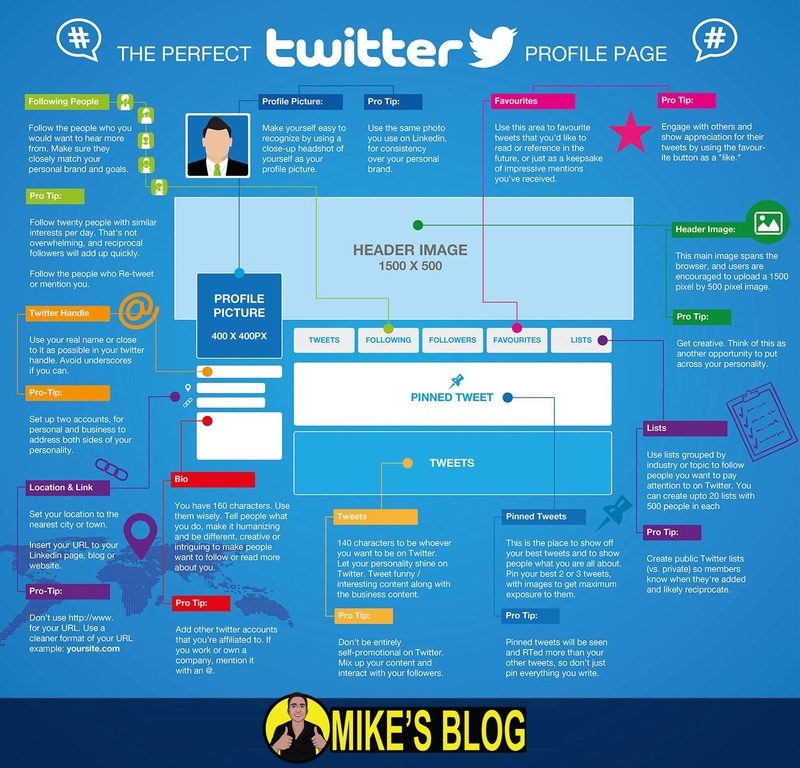 The profile picture has dimensions: 400×400 and appears on your home page and on your followers’ Twitter stream whenever you post a Tweet. Please note that since this image represents your brand or just you as an individual, it should be of high quality. A 1500X1500 is the best preferred header size. A 1500X1500 is the best preferred header size for Twitter with the exception that a maximum 10MB file size is allowed. So for an image that appears on a wider area, you can go for an eye-catchy, an extremely creative image. If you are using it for your business promotion, then the header photo should feature your brand, logo and your tagline. An in-stream image that’s usually posted has dimensions:440 x 220 pixels with the exceptions that a maximum of 5 MB file size is allowed for photos and for animated gifs, you can use 3 MB file size. However, it is important to note that upto four pictures can be posted along with the tweets. But every in-stream picture, an image links gets created and takes up the character space on Twitter. Enjoyed reading this article? Read about image sizing for Facebook.